Now that my kids are older I have more time to think about the things I buy and research items I want to purchase. I look back and wonder why I didn’t do these things a long time ago, they are so easy! I bet you are already doing some things on this list without even thinking about it. These going green at home ideas can be pretty easy and you may not even notice some of these switches. 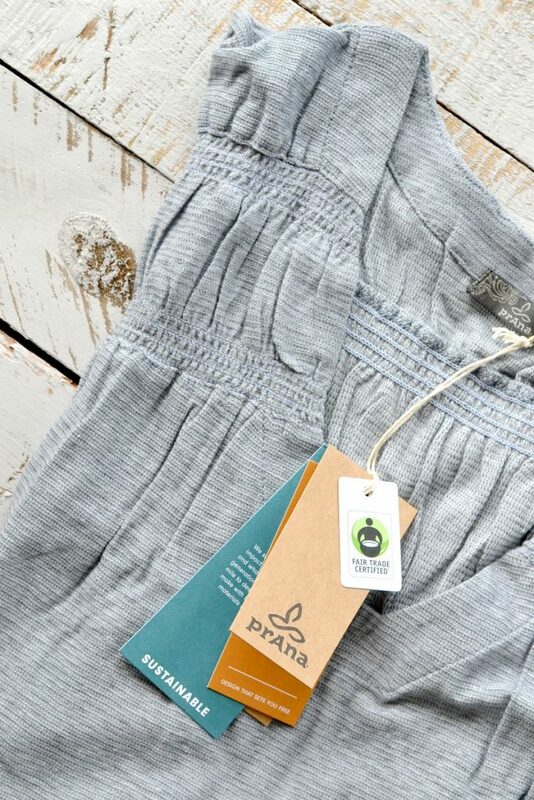 I’m excited to partner with PrAna and received compensation for this post. All opinions are my own. Going green doesn’t have to be expensive or hard. You may need a little time to adjust to a new way of doing things but that’s pretty easy. Once you get one item down, you can add in another. 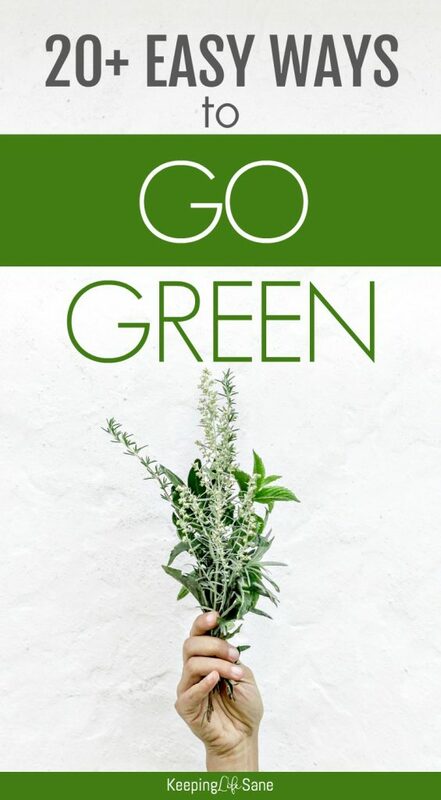 Scroll down and see over 20 things you can do to go green at home. 1 Make your own compost bin. This is so easy and I’ve had one going for years now. I live in a regular neighborhood so this is something everyone should be able to do. Here are my directions on how to make your own compost bin in just a few minutes. 2. Use cloth towels instead of paper towels. Whenever someone comes to my house, they are always asking where my paper towels are. I just direct them to my cloth napkins and towel drawer. 3. Take your own bags to the grocery store. Just keep some bags in your car and you’ll always have them when you make a trip to the grocery store. 4. Make your own household cleaners. I use vinegar and water, microfiber clothes and water, and this great bathtub cleaner from scratch. 5. Start a garden. Even if you don’t have a lot of space at your house or live in an apartment, then you can have some tomatoes, peppers, or herbs in pots! 6. Unplug electronics when not in use. Unplugging items is a habit that’s pretty easy to do and stick with. 7. Air dry your clothes. I don’t have a lot of extra space outside, but I have a line in my garage. Adding one to your house is super simple and you can purchase online or at a home improvement store. 8. Go paperless. Set all your bills to come o you via email. This also helps with paper clutter. 9. Purchase a programmable thermostat. These have gone down in price so much lately. They are very reasonable and you can control them with your phone. 10. Don’t buy bottled water. Switch to reusable bottles. Sometimes we have to have bottled water, but most the time, with a little planning, we can fill up our water bottles. It save a lot of money too! 11. Don’t use coffee pods. Buy a reusable or switch to a regular coffee pot. We did both. 12. Buy local (when you can). I love the farmers market! The food taste so much better when you get it fresh. We also have a local farm where we get our meat. 13. Combine your trips to town or use public transportation. This may take a little more planning and time at first, but once you’ve done it a few times it’s like second nature. Try and run all your errands at one time or while you’re already out picking up your kids from school. 14. Make sure your dishwasher is full before you do a load. This is easy when you get on a good schedule. I run mine at night and unload in the morning. 15. Shop at at thrift store. I’ve gotten some beautiful dishes and brand new books at my local thrift store. 16. Buy in bulk. If you know you’re going to use a lot of something go ahead and buy it in bulk. It will reducing packaging and probably save you some money too. 17. Buy items that will last and not have to be replaced often. This can be hard to do if you are running low on money. For example, I’m looking for a new waffle iron now. There are some pretty inexpensive ones out there, but if I buy one that cost a little more it could last a lot longer and not need replacing. 18. Collect rain water to water plants. You don’t need a big barrel or anything expensive for this. Just stick a water bucket out when the forecast says rain. 19. Switch to a crystal deodorant. I made the switch a couple of years ago and wonder why I never did it earlier. I’ve already told my daughter that’s what she’ll be using when she gets older. 20. Store leftovers in glass, not plastic containers. I gradually switched containers over when I needed them replaced. Pretty simple. 21. Stop buying foil. Use silicon mats or beeswax paper instead. I just made this switch in the past couple of weeks. 22. Purchase stainless steel pots and pans. I made the switch from nonstick years ago and was so nervous. I thought I would have to relearn to cook. There was definitely some burnt food, but love them now. 23. 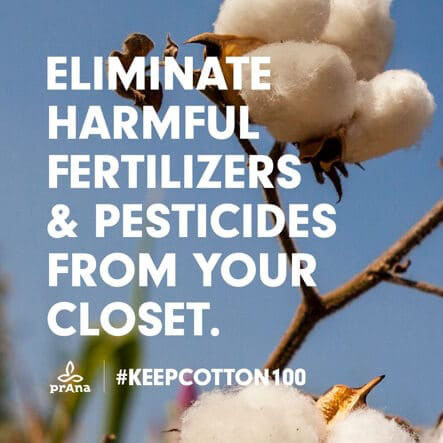 Buy organic clothing. 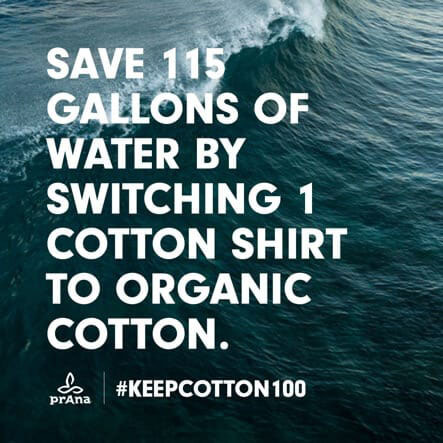 PrAna is one company that produce organic clothing. When PrAna contacted me, I was on board with writing for them immediately because I LOVE their clothing. They are so comfy. I love that they have dresses, casual AND workout clothes. The latest outfit I got is so great. We went to the beach for spring break and it was great for the car ride and going out to dinner. PrAna is giving my readers 15% off! Woohoo! Use code GGKL18 at the checkout. Here’s the shirt I got. THE CONSTELLATION TEE FEATURES AN ORGANIC COTTON/HEMP BLEND KNIT. DESIGN FEATURES INCLUDE A V-NECK, CAP SLEEVES, AND A SHIRTTAIL HEM. What are some things you do at your house that I can add to the list? What are you going to try first?